August 19, 2014, FORT MEADE, Md. (NNS) – U.S. Cyber Command continues to expand its capabilities and capacity, Navy Adm. Mike Rogers said Aug. 14. The Cybercom commander was speaking during an interview at the NSA headquarters building here. Rogers is also director of the National Security Agency and chief of the Central Security Service. “The decision to create [Cybercom] was a … recognition of a couple things. No. 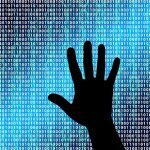 1, the increasing importance of the cyber domain and the cyber mission set in Department of Defense operations in the 21st century,” Rogers said. Making progress is important to Rogers, who characterized his ultimate goal as bringing Cybercom to a level where it’s every bit as trained and ready as any carrier strike group in the U.S. Central Command area of responsibility or any brigade combat team on the ground in Afghanistan. — The Cyber National Mission Force, when directed, is responsible for defending the nation’s critical infrastructure and key resources. — The Cyber Protection Force operates and defends the DoD information network, or DoDIN. He added, “We’re in the process of doing that and I expect to roll it out in the fall. … You’ll hear it referred to as JFHQ DoDIN,” he said, or Joint Force Headquarters DoD Information Networks. “[DISA] will operate on the networks. They’ll be part of our defensive effort so they will be out operating on the networks just like us,” he added. “One of the core missions is the defense of the DoDIN,” Rogers said. “The forces associated with that mission will be assigned to DISA, to the services [and] to the combatant commanders.” So, he added, DISA will have operational control over some of the cyber mission force to help execute their mission. 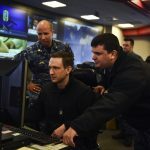 “Is what U.S. Cyber Command needs to know about what’s going on in the network world the same thing as a strike group commander needs in the Western Pacific? The same thing an Air Force air wing needs in Minot, North Dakota? The same thing a brigade combat team needs in Afghanistan? It will vary, so we’ve got to create a system that you can tailor to the needs of each commander,” he said. “It’s not something you turn to your communications officer … or your CIO and say, ‘I don’t really understand this. Go out and do some of that for me.’ That isn’t going to get us where we need to go,” the admiral said. For that reason and others, the ultimate construct of Cybercom must be flexible, the admiral said.